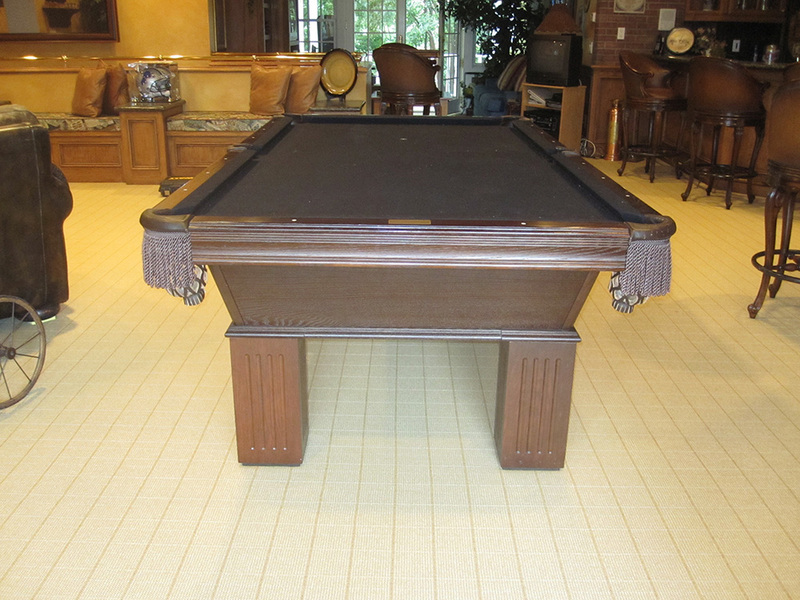 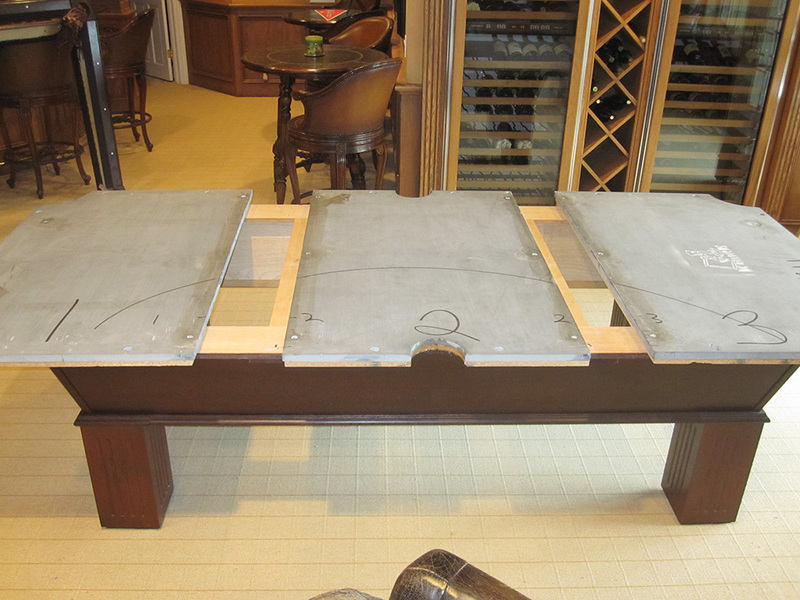 Here’s an eight foot Olhausen billiard table that we serviced in Yorba Linda, CA last week. 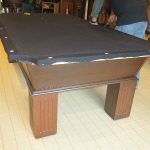 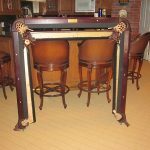 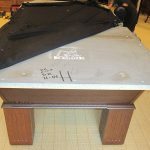 This billiard table has been in on loan from it’s owner for the past six years. 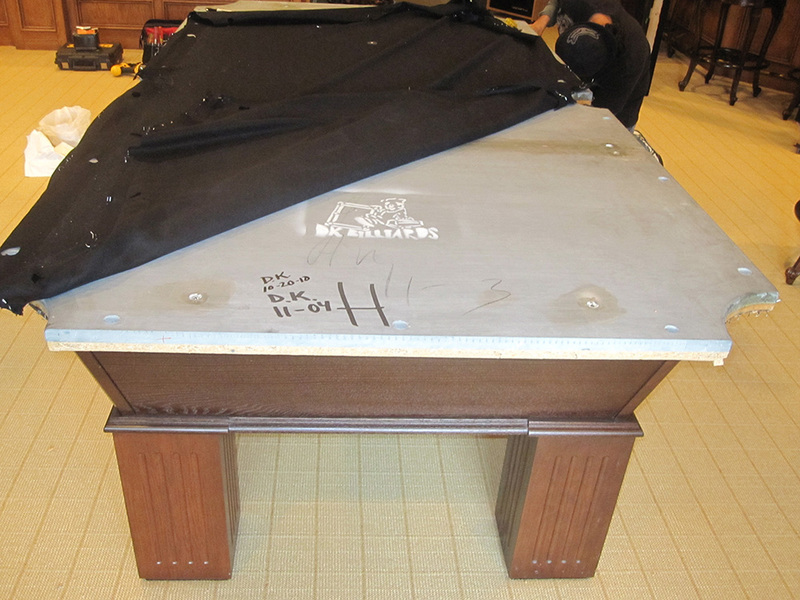 Apparently it’s owner had been serving in the Military and didn’t have a permanent residence. 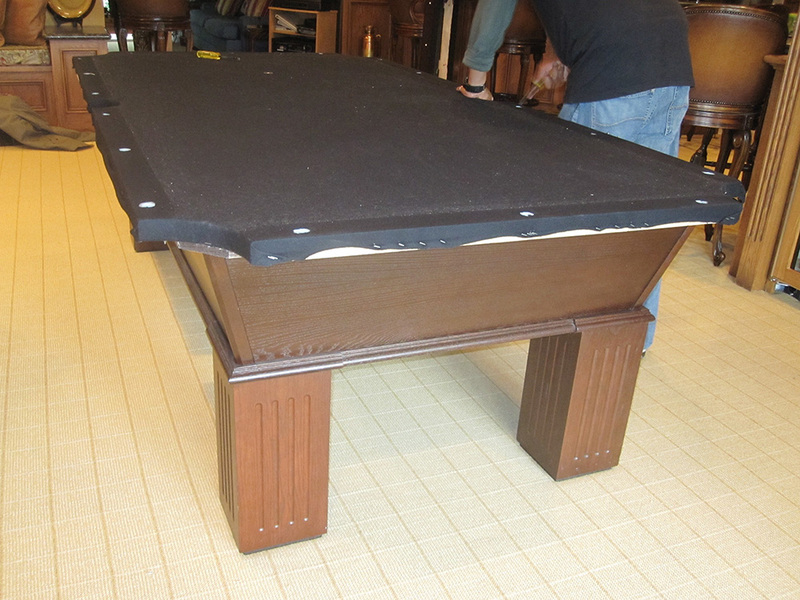 So rather than let the billiard table just sit in storage, it was used by family members for the past six years. 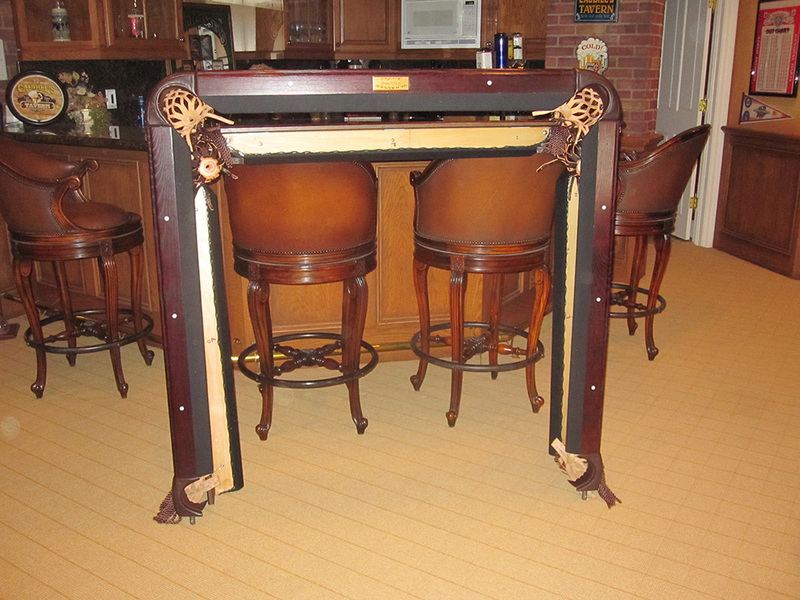 But now it’s time to go back to it’s rightful owner, who has settled in Colorado. 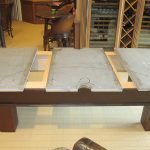 So our clients in Yorba Linda called us back out to break down the billiard table and crate the slates and get it downstairs to the garage to be transported to it’s new home in Colorado.